Get your 200% welcome bonus at MobilBet Casino today! You might have heard of MobileBet at some point. They’ve been around since 2014 and quickly secured themselves a reputation of one of the best online casino brands in the UK. Just as their name suggests, this site offers hundreds of different betting opportunities. Besides the online casino, there’s sports betting, video slots and tons more. 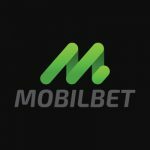 If, somehow, you’ve not heard of MobileBet, don’t worry! That’s what this review is for, and we’re going to take a look and everything the operator has to offer for your online casino entertainment. MobileBet online casino is licensed and regulated in the UK, Malta and Curacao. That means you can look forward to safe, fair gambling during your time online. The site is operated by Co-Gaming Ltd and the brand has a classic tendancy towards sleek and contemporary designs. That’s well and good, but what else can you enjoy at MobileBet? MobileBet currently runs a 200% deposit bonus for new players. You can deposit just £10 and get a total of £30 to play with. It’s not the hugest welcome bonus around, but it’s still a little something to get you started at this casino. The wagering requirements for this bonus are that you need to wager 40x your deposit and bonus amount. The wagering requirements vary depending on what game you play, with some games having lower turnover requirements than others. What’s more, you have 30 days to complete your bonus from the date of activation. Also, any deposits made using Neteller, Paysafecard, Skrill or Moneybookers are not eligible for the offer. MobileBet also runs recurring promotions, so there’s plenty more fun, and funds, to be had once you’ve used up your welcome bonus. There’s also a VIP club and you can collect coins to build your way up the ranks, playing all your favourite casino games as you go. Make it to the top VIP tier, and you’ll get your very own personal account manager and the opportunity to win rewards and prizes like more bonuses, holidays and exclusive event tickets. What’s more, there’s always some sort of special bonus on offer, like free spins. So, be sure to check the site regularly so you don’t miss out on more ways to play and boost your bankroll. It’s also a good idea to sign up for the casino’s newsletter where you’ll get all the information on tournaments, new games and bonus offers as they come up. MobileBet casino has a variety of accepted banking methods and is rather fast with both deposits and withdrawals. We found that this casino has more deposit options than withdrawal options. As for deposits at this online casino, you won’t incur any fees, but some withdrawal methods may bare fees, so make sure you read the terms and conditions before choosing a banking method. Deposits at MobileBet are instant, and you’ll notice the amount credited to your account as soon as you make your payment. This is for all payment methods except bank transfer, which can take up to 7 working days. As for withdrawing your funds, the process usually takes 24 hours. How long the money takes to get to your account will depend on your payment method of choice. On the whole, e-wallets are faster and take just 24 hours, whereas credit and debit cards take between 2 and 7 business days. The maximum withdrawal limit is £10,000 per withdrawal, the minimum withdrawal is £20 and the minimum deposit at MobileBet is just £10. MobileBet online casino is powered by some of the best software developers in the business, like NetEnt, Playtech and Microgaming. That means there are hundreds of top-quality games in all sorts of categories. The largest category at this casino is the online slots, where you will find more than 800 amazing games. There’s a really good mix between classic and video slots as well as the coveted progressive jackpot slots. With so many slots available, you’re sure to find plenty of titles to fall in love with. There are lots of popular slots, too, like Mega Moolah, Sea Hunters, Rainbow Riches, Life of Riches and so much more. There are also all-time favourites such as Fruity Friend, Gonzo’s Quest, Bonanza and Starburst. You’ll find plenty of new games, too, with incredibly innovative designs and lots of ways to win. But, if you prefer traditional, you’ll love the classics like fruit slots. As for progressive jackpots, other than Mega Moolah, there’s also Mega Fortune and Hall of Gods, amongst others, that may just give you that life-changing win you’ve been dreaming about. Thanks to Evolution, MobileBet brings you sensational live dealer games with exceptional high-quality streaming. Live dealer games at this online casino include hold’e, Caribbean stud, roulette, baccarat, blackjack and Dream Catcher. Within each of the live games there is a lobby with even more rooms and more options. With mobile casinos well and firmly a favourite with UK players, it makes sense to sign up to a casino like MobileBet that has mobile gameplay in its blood. If having a couple spins on your smartphone or tablet is just your cuppa, you’re going to love this mobile casino. It’s stylish and modern, and its entire focus is on optimised mobile play. What’s more, MobileBet prides itself as a site where you can win anytime, anywhere. The casino offers the best casino action on desktop, smartphone and tablet to suit all kinds of players. From the mobile section, you can access the live casino, the slots, table and dice games, and even the sportsbook betting side of things. New players can even grab that welcome bonus when they make their first deposit. As we mentioned at the start of our review, MobileBet is owned and operated by a company called Co-Gaming Ltd, which was founded in Sweden and is now based in Malta. The casino is licensed in the UK, Malta and Curacao and company itself is known for operating a well-known casino called ComeOn. The casino’s very important gaming licenses and all that comes with them goes to show how legitimate and secure MobileBet is for UK players. The regulatory bodies are the best in the business, and they regularly check on the site since any issue could cost the casino its gaming license. As for accountability and fairness, MobileBet casino treats players fairly. Their promotions are fair and so are their games. Every game uses a Random Number Generator that allows it to keep the outcomes completely random and, therefore, fair. There’s no way for this casino to rig its games or manipulate the outcomes, giving everyone a fair crack at winning. They are also audited regularly. During your gaming journey, should you encounter any issues and need a little help, you can turn to the comprehensive FAQ section that deals with regular topics like banking, logging in, forgetting your password, claiming bonuses and so on. However, if you can’t find the answers you need, you could always reach out to a customer support agent through the site’s live chat feature. The chat lines are open from 9am to 8pm GMT, but if you need help outside of those hours, you could always send the team an email, which they endeavour to reply to as soon as possible. MobileBet online casino has the type of interface you could quickly and easily get used to, very similar to its sister casino, ComeOn. Even if you’re completely new to the world of online gambling, this site is easy to use and easy to understand. There’s a classic, elegant design making this casino a simple pleasure to look at. There’s nothing unnecessary or distracting here. The interface has been perfectly designed and the most important features and instantly visible, so it is super-easy to find anything on the site you need, even if you’re not yet used to it. From a more technical point of view, this site runs incredibly well and there is absolutely no issue with loading games or even specific sections, particularly on a mobile device, where you can sometimes spot differences. What’s more, MobileBet online casino keeps you informed in terms of new offers and games through their newsletters and also just on the top of the site. The strongest point, though, has got to be this site’s mobile version. It’s incredibly easy to work your way around and the loading speed is one of the best we’ve come across. MobileBet also offers a solid games selection along with an array of juicy promotions and a VIP club. On top of that, the banking options are plentiful, and withdrawals are fast. Customer support is on hand when you need them, and the FAQ section is well laid-out for more common topics. Best of all, this site is beautifully designed for mobile, so whether you prefer the thrill of the slots, table games, dice games, live dealer games or even sports betting, you can carry it all around with you in your pocket to play whenever you like, with the chance to win wherever you are!